Canine influenza is one of many respiratoryRelating to the organs affecting breathing. diseases included in what is currently known as the CIRD (Canine Infectious Respiratory Disease) complex. Other more commonly recognized respiratory infections in this category include Bordetella bronchiseptica (kennel cough) and canine distemper virus. Influenza, or “the flu,” is a contagious respiratoryRelating to the organs affecting breathing. disease caused by specific viruses in people and animals. Currently, there are two strains of canine influenza that are of concern, H3N8 and H3N2. The H3N8 strain originated in horses (equine influenza) over 40 years ago. In 2004, a group of racing greyhounds in Florida became ill when this strain mutated. Since then, it’s been passed between dogs. H3N2 is an avian flu virus that has also adapted to infect dogs. Initially, it was found in South Korea in 2007. In April 2015, the first cases of canine influenza caused by H3N2 in the United States was reported in Chicago. Unfortunately, this strain causes more serious illness than its predecessor. In May 2015, the Harris County Public Health and Environmental Services, Veterinary Public Health division, reported a case of Canine H3N2 in Beach City, Texas, involving a dog that moved to Texas from Chicago. Recently, as of May 2017, the H3N2 strain has resurfaced and triggered a new outbreak. It originated at dog shows in Florida and Georgia and cases are now also being reported in Illinois, Kentucky, Tennessee, Missouri, and North and South Carolina, as well as Texas. 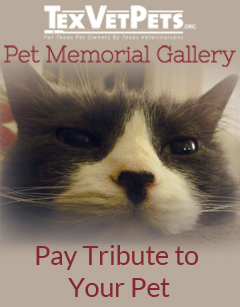 The Texas Veterinary Medical Diagnostic Lab (TVMDL) has confirmed the cases in Texas. While the infected dogs were originally exposed at the dog shows, cases are spreading to dogs in the general population at boarding facilities and other areas where dogs congregate. Although rare, death has been reported during this latest outbreak. At least three boarding facilities have been placed under quarantine. Depending on if your dog develops the mild or severe form of influenza, symptoms may mirror what humans experience—coughing, runny nose, loss of appetite, lethargyLacking enthusiasm. and fever. With the mild form of influenza, dogs generally have a soft cough that persists for one to four weeks. They may develop a runny nose (clear to greenish/yellow discharge), and appetite and activity may or may not be decreased. With the severe form, dogs will present with high fevers (103-106°F), rapid/labored breathing, significant coughing and may start to cough up blood. Life-threatening pneumoniaInflammation of the lungs. and respiratory complications can develop. In a small percentage of dogs, the symptoms can progress rapidly and lead to death within four to six hours of presentation to a veterinarian. Dogs at risk for the severe form of influenza mimic the “at-risk” human population, which means very young, senior and immunocompromisedHaving an impaired immune system. pets are at greater risk for complications. Can my pet be tested for influenza? Unfortunately, there is not a rapid-result test available for pets as there is for humans. There are, however, several testing options available to confirm a diagnosis of influenza in dogs. Samples from respiratory tissues or blood may be utilized for testing. Diagnostic testing is available through multiple state veterinary diagnostic laboratories. 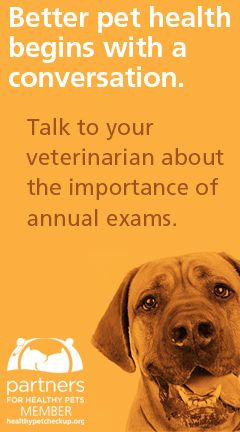 Your veterinarian can discuss which tests would be most appropriate for your pet. Treatment is primarily symptomaticMedical therapy affecting the symptoms of a disease, not the cause. and supportive. Pets with mild symptoms may respond to medications to control coughing (anti-tussives) and antibiotics (if secondary bacterial infection is present). Mild illness may improve with medication and have no further complications. Pets with the more serious illness could require hospitalization, additional diagnostic tests to look for complicating illnesses and more substantial medical therapy. Your veterinarian is the best person to provide treatment advice based on your pet’s personalized assessment. At this time, the use of human anti-viral medications (e.g., Tamiflu®) has not been shown to be beneficial for viral infections in dogs. 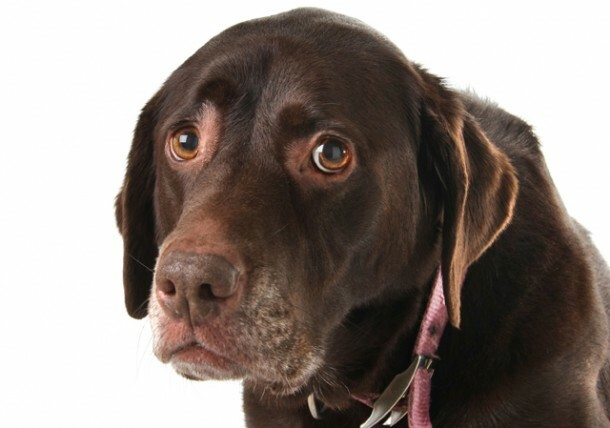 How can I prevent my pet from getting or spreading canine influenza? Good hygiene prevents a host of problems. Wash your hands before and after handling your own and any unknown pet. Use caution so as not to allow your dog around others who may seem ill or who are coughing. If you will be boarding your pet or visiting a doggie daycare or groomer, ask if there have been any problems with ill pets in the facility. Dogs that visit dog parks or “shop” with their owners at the local pet store also are at risk. Keep in mind that the influenza virus is shed in respiratory secretions, so coughing, sneezing and licking will be routes of transmission from one dog to another. Unfortunately, dogs are contagious and will start shedding the flu virus before the clinical signs become apparent. Should your pet develop any symptoms of a respiratoryRelating to the organs affecting breathing. condition, even if it is mild, use good judgment not to expose other dogs to potential infections until your pet recovers. This may mean delaying going to a boarding/daycare facility and not visiting dog parks or taking walks around the neighborhood. If you have friends or family with pets, be sure they leave them at home when they visit. Remind them to wash their hands before they handle their own pet(s). Is canine influenza transmissible from dogs to humans or other animals? Although canine influenza came from a mutation within the equine virus strain, at this time it is not thought to be contagious to humans. The canine H3N2 virus is genetically different from the human seasonal H3N2. However, in 2016 there was an outbreak of canine H3N2 in a population of shelter cats in Wisconsin. While most cats are not likely to become infected, cats in shelters or that live with dogs that could be infected may be at higher risk. The best advice is to use common sense and practice good hygiene. If a pet or a human in the household is ill, appropriate hand-washing and hygiene measures should be followed. Is there a “flu shot” for dogs? There are canine influenza vaccines available for use in dogs only. It’s important to note that an initial vaccination is given and then boosted two to four weeks later, then given annually. Similar to how the vaccine works in humans, the vaccine may not prevent your pet from getting the flu, but may greatly diminish the clinical signs of influenza and the associated complications. The Centers for Disease Control (CDC) monitors the human influenza virus and updates how vaccines are produced to provide maximum protection. This is why we often hear in the news that a new vaccine is available. At this time, the two available canine influenza vaccines cover H3N2 and H3N8. There also is a bivalent version that contains both strains in a single injection. If your dog will be in an environment with increased risk of exposure to the flu, such as a boarding facility, doggie daycare, grooming facility or dog park, it is a good idea to have him or her vaccinated. Also, if your dog will be traveling with you this summer or attending a dog show (as a participant or spectator), then you should consider having him or her vaccinated. Plan ahead so your dog receives the initial immunization and the booster before the risk of exposure occurs. As with any vaccine, there is the possibility of an adverse reaction. Your veterinarian can discuss the benefits and risks with you. Lori Teller, DVM, DABVP, who practices at Meyerland Animal Clinic in Houston contributed to this article. Cecily Jennings, DVM, is a graduate of Texas A&M College of Veterinary Medicine who lives in Houston, Texas. Dr. Jennings practices at Banfield Pet Hospital in Pearland.